Just like craps, blackjack and poker, Roulette is a game where probability is the main factor. This game is very popular in the United States as well as all through the globe. 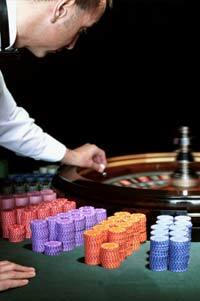 As compared to any other game, Roulette is the played in most of the casinos. Though the main factor of this game is chance, yet it can be reduced to mathematical figures to evaluate the bets, which are the most suitable to place. Here are some of the statistics, which will help you to select the best bet. There are mainly two variations of roulette so there are different statistics for different versions. One of the most popular version is the European table. This is where the study of roulette figures begins. Alternate strategies are given for both American and European tables. This will help you to contrast and compare how different statistics work. The straight bet is the most frequent bet, which is made by the players. This is mainly place on a single number, especially the number that you are most familiar with. Many movies show a roulette scene with players making straight bets. However, the bad thing is that this bet is the worst move that a player can make. Its probability of a win on European wheel is just one in 37 chances. Therefore, a player can lose his wager 36 times out of the 37 spins. As per the roulette statistics, this bet has 2.70 percent chance of a win. The odds are even worse on the American roulette wheel. The player has only 2.63 percent chance to win the bet. Split bet is the next common bet in roulette. This bet is made on numbers at the identical time and this one has better odds as compared to the straight bet. As per roulette statistics, this bet comprises of a 5.41 percent chance on European table and 5.26 percent chance on American table. This is a significant difference. Which bets more are more favorable? If you are not satisfied with these statistics, then there are some bets, which have the best statistics. The outside bets is among the best bet that a player can make. These bets are placed on even/odd, high/low and red/black. As these bets are placed outside the table, these are known as outside bets. As per the roulette figures, these bets have 48.65 percent possibility of winning on European table and 47.37 percent chances on American tables. These are good odds. There is, in fact, a tie amid the column bet and the dozen bet, for the next best statistics. The chance of these bets scoring a win is 32.43 percent on a European table plus 31.58 percent chance on American table. These are not bad either. Therefore, when you work on your big roulette strategy, you can take the help of these statistics. You can successfully place the bets by analyzing the numbers. You will no need these numbers if you buy a roulette system, which do the study for you. After that, you can easily place your bets.